The Rheingau Gourmet und Wein Festival brings togather every year leading chefs and winemakers from around the world. 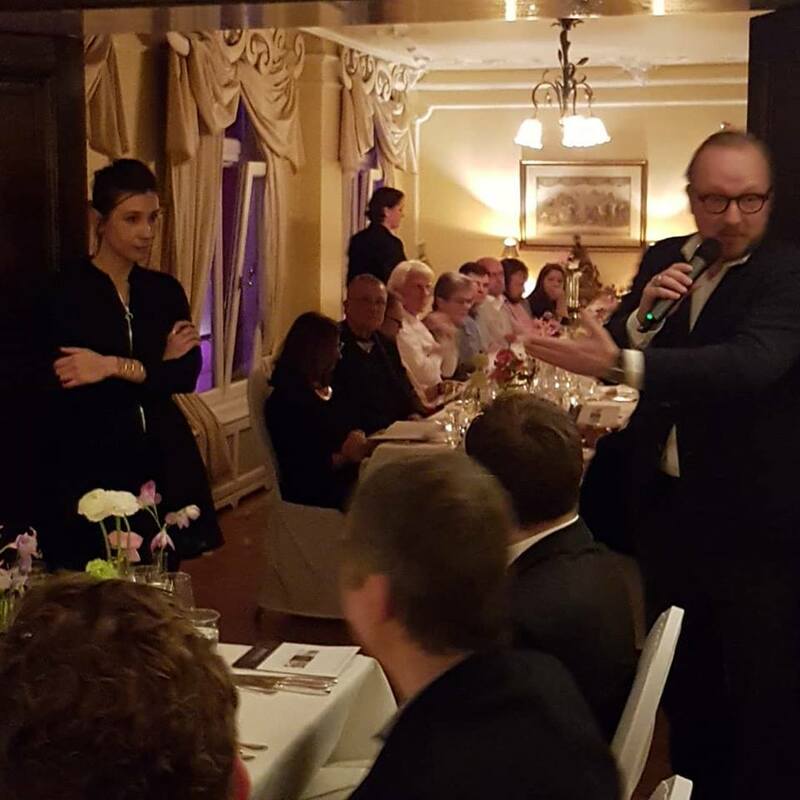 The annual event is organized by Hans B. Ullrich, the owner of the Hotel and Restaurant Kronenschlösschen in Hattenheim. It takes place during February/ March and lasts for about 2 and 1/2 weeks. The Bourgogne tours by ombiasy WineTours of Annette Schiller typically include a visit and tasting of this prestigious Burgundy estate. The last time we were there was just a few months ago during the 2018 Bourgogne Tour by ombiasy WineTours (See: Burgundy (and Champagne) Tour 2018 by ombiasy WineTours: From Lyon to Paris - Wine, Food, Culture and History, France). 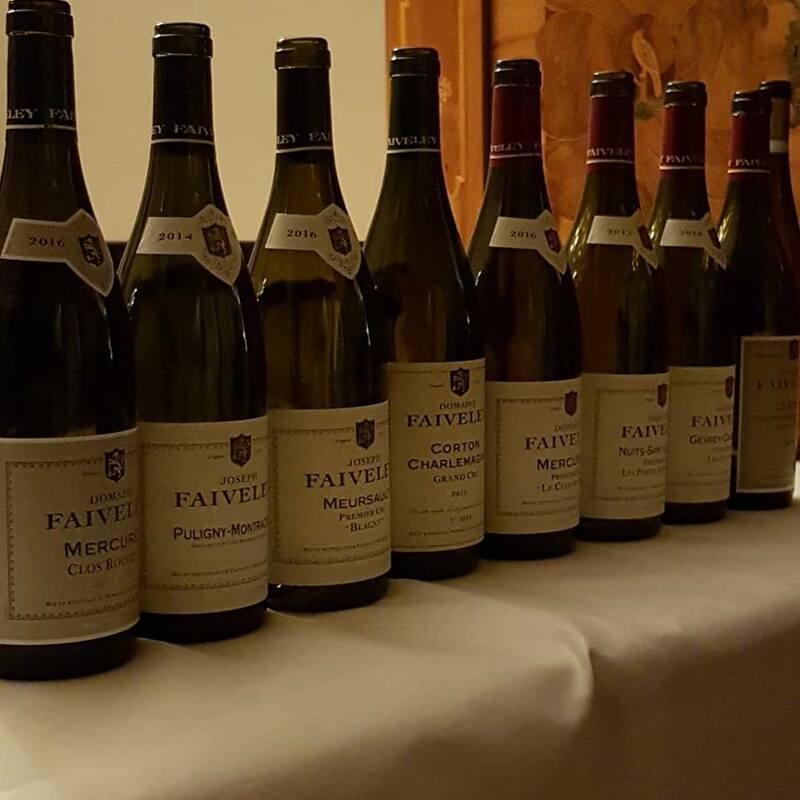 Domaine Faiveley is close to our heart and it was an obvious thing to signed up for the dinner with Eve Faiveley of Domaine Faiveley Nuits St. Georges, Bourgogne and 2-star-Michelin Chef Thomas Kellermann, Relais & Châteaux Park Hotel Egerner Höfe in Rottach-Egern, Tegernsee. In addition to the eight world class wines of Domaine Faiveley, two wines of Weingut Balthasar Ress, Hattenheim, Rheingau, were poured as well as a Port Fonseca Vintage 2000. The evening started with Sekt (NV Geldermann Brut Grand Rosé and Grand Blanc) reception in a party tent in the court yard of Hotel and Restaurant Kronenschlösschen, where people could mingle and had a chance to talk with Eve Faiveley. Amuse-bouches were served there. We then moved to the large dining room of Hotel and Restaurant Kronenschlösschen. 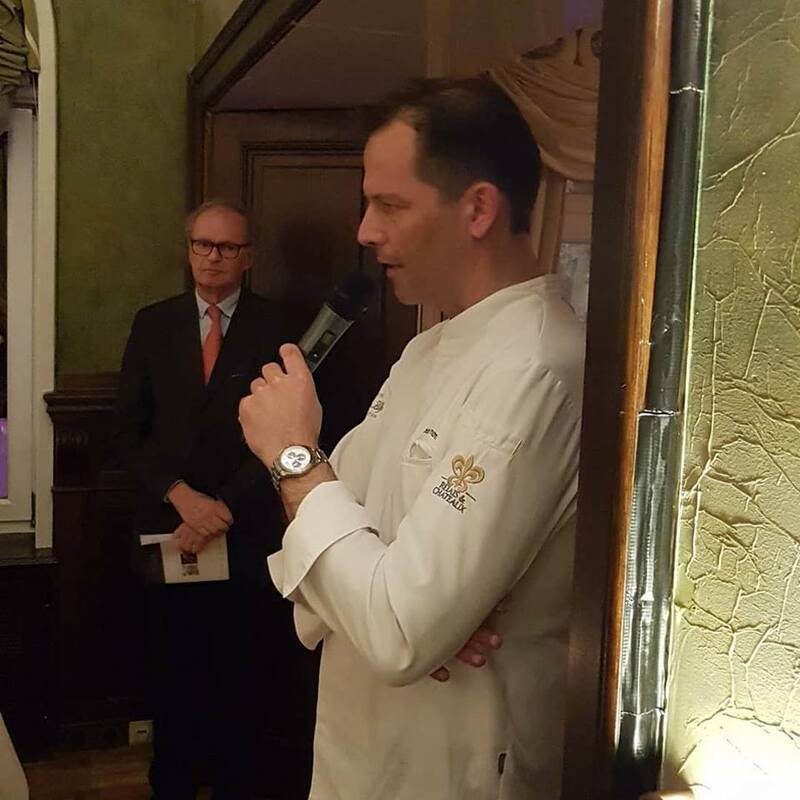 Hans B. Ullrich welcomed the 120 guests and handed the microphone to Chef Thomas Kellermann, who explained what he was cooking for us. Hendrik Thoma then took over and led with Eve Faiveley through the evening with charme and wit. Domaine Joseph Faiveley is one of the biggest domains in the Bourgogne and, many would argue, one of the best. This illustrious company has been based in Nuits St Georges since the days of Pierre Faiveley who founded the business in 1825. His son Joseph gave his name to the family business, to be followed by (1) the first François, (2) Georges who was instrumental in founding the Chevaliers du Tastevin, (3) Guy who developed the business in the Côte Chalonnaise, (4) François who recently retired and (5) now his children Eve and Erwan. Guy Faiveley, a brilliant intellectual who had a collection of diplomas, had the difficult job of succeeding his very colorful father. Yet, with his impetus, the domain doubled in size. François Faiveley took over the domain at the age of 25. He was able to give it a new boost – using a precursor of the sorting table and carrying out cold macerations for example. At the same age as his father, Erwan Faiveley took over the domain in 2007, becoming the seventh generation. Recently, he was joined by his sister Eve. In 2013, Domaine Faiveley acquired 20 hectares of vines previously owned by Domaine Dupont-Tisserandot, which is based in Gevrey-Chambertin. All together, the firm now owns 123 hectares of vineyards among which 12 hectares are grands crus and 27 premiers crus. Along with this focus, Erwan and Eve Faiveley and General Manager Bernard Hervet have renovated the cellars, which now boast state-of-the-art barrel presses, custom-designed wooden vats and among the finest, air-cured oak casks available in the world. 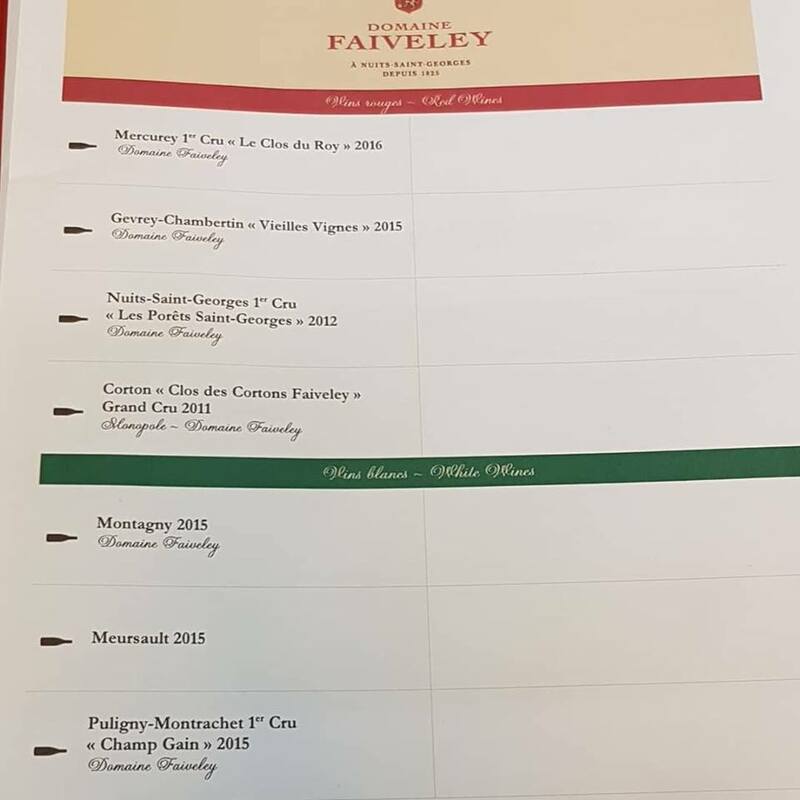 Unlike many wine growers, Domaine Faiveley has united the management of its vineyards and its cellar under the direction of one technical director, Jerome Flous. 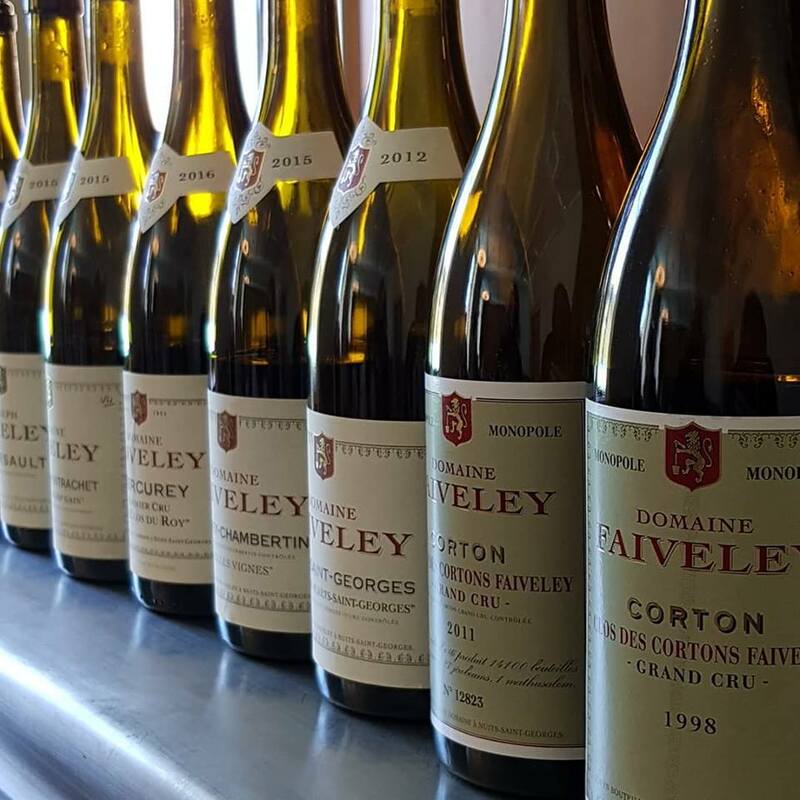 Faiveley’s white wines are both silky and powerful. They bring together purity, tension and minerality. The red wines are the perfect illustration of a successful marriage of elegance, precision and concentration. 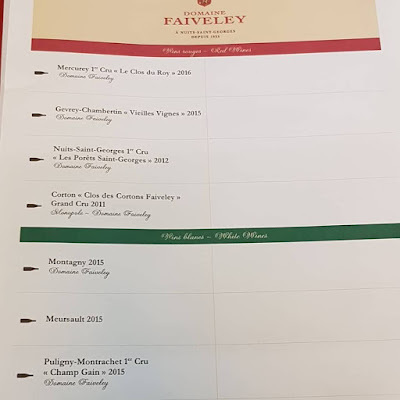 This write up is based on what I learnt from Mathilde Nicolas during recent tours and tastings at Domaine Faiveley in Nuits-Saint-Georges and the Faiveley web site, supplemented by the excellent write-ups on the web site of Berry Bros. and Rudd as well as Frederic Wildmann. 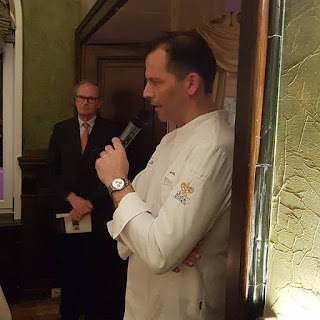 Thomas Kellermann went to the Hotel-Restaurant Erbprinz in Ettlingen in 1991 and in 1992 to the Wald- und Schlosshotel Friedrichsruhe, where he joined the team of Chef Lothar Eiermann. In 1994 he moved to Munich for six years to work at the Tantris under Chef Hans Haas. He took up his first position as a chef in 2000 at Landhaus Nösse in Sylt, followed by two Berlin restaurants: 2001 Portalis and 2003 Vitrum. Here he was awarded a Michelin star. From 2008 to 2018 he was the chef of the restaurant Kastell in the Hotel Burg Wernberg in Wernberg-Köblitz. In 2011 he was awarded the second Michelin star. Since June 2018, Thomas Kellermann has been at the Park Hotel Egerner Höfe in Rottach-Egern. It was a great evening. Thanks Eve, Thomas and Hendrik.